Ray Tamaddon focuses his practice in insurance coverage disputes and litigation, coverage advice and bad faith litigation involving a wide array of first party and third party issues. Mr. Tamaddon has served as lead counsel in large-exposure complex insurance coverage cases in California, Arizona, Washington, Oregon, Nevada and Hawaii. He has first-chaired numerous jury trials and arbitrations, and frequently briefs and argues insurance issues of first impression. Mr. Tamaddon has also served as appellant counsel in a number of reported decisions. Mr. Tamaddon has extensive experience in providing insurers strategic guidance and representation in pre-suit negotiations, mediations, arbitrations and mandatory settlement conferences based on cost-effective and realistic strategies. He has also prepared, and overseen the preparation of, numerous opinion letters and coverage position letters involving commercial general liability, property & casualty, errors & omissions, directors & officers and personal lines policies. Mr. Tamaddon conducts periodic training of insurance clients' claims staff on legal, coverage and extra-contractual issues, and provides presentations regarding latest trends and developments in insurance law and industry. He often assists insurance clients in assigning and managing panel and local counsel for defense of underlying actions and serves as client liaison. Mr. Tamaddon has assisted underwriting department of insurers with crafting insurance policy language and has served as a bridge between the claims and underwriting departments to achieve optimal balance between risk management and underwriting goals. Mr. Tamaddon joined Hinshaw & Culbertson LLP in January 2011. 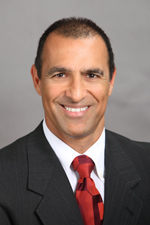 From 2006 until joining Hinshaw, he headed his own firm, Tamaddon Law Group, in Woodland Hills, California. From 1989 to 1991, Mr. Tamaddon was an associate at Morris, Polich & Purdy, and also Parkinson, Wolf & Leo, both in Los Angeles. He joined Rosenfeld, Meyer & Susman, LLP, in Beverly Hills, California, where he remained until 1997. Mr. Tamaddon worked as a Major Claims Senior Coverage Litigation Attorney at an in-house litigation firm for Resolute Management, Inc., a Berkshire Hathaway Company, from 1997 to 2003, and again from 2004 to 2006. Mr. Tamaddon's law school accomplishments include the Stone Moot Competition. He was selected for moot court judge and advisor, and was the recipient of an American Jurisprudence Award. Mr. Tamaddon has presided over mandatory settlement conferences as a mediator at Beverly Hills Municipal Court. He holds a California Real Estate Broker's license. Prevailing on dispositive motions involving insurance coverage issues of first impression, including various policy exclusions and provisions and issues unique in excess and umbrella policies. Defense of employment-related claims in state court. Litigation of intellectual property cases including trademark, unfair competition and copyright cases in federal court. Litigation of real estate cases involving breach of lease agreements, easement and trespass issues. Serving as panel counsel to a number of insurers. Reversal of U.S. District Court decision before the U.S. Court of Appeals, Ninth Circuit, in Beardsley v. Mutual Service Casualty Insurance Company (9th Cir., 2004 WL 2370556), involving a CGL employment exclusion. Numerous binding arbitrations and mediations. Assisting small businesses with management and oversight of outside counsel, as well as analysis and auditing of legal fees. Review, negotiation and drafting of a variety of contracts and settlement agreements.